Today I have an interview with Annalise Grey, author of the Kane Wolves series, as well as several other books. The beginning. I enjoy writing middles and I absolutely love writing the ending but the first part, that is torture. What books have influenced your writing? I would say I learned some very important lessons from my favorite books: Ernest Hemmingway’s A Farewell to Arms taught me that happy endings aren’t always the most powerful. Harry Potter taught me that clever details and doing research can make a great book into one that is awe-inspiring. I guess these have been huge influences on me in that they also are just incredibly beautiful stories that have stuck with me for the long haul. Lol Every single one, multiple times. I know I shouldn’t obsess over them but I’ve learned some really great things about my writing through reviews – both positive and negative. Even though I cringe when reading a bad review, if it’s constructive and has good points, I memorize what they say so I can become a better writer. Absolutely. In Howl and Embrace, Sophie’s family was based almost entirely on my family. I couldn’t have written about her family without my own family and our experiences/personalities. I sometimes drop copies here and there in physical locations such as the dentist’s office or my local Y’s lending book shelf. I also will go on Goodreads and find people who have added my book to their ‘to read’ shelf and offer them a free ecopy in exchange for an honest review. Goodreads has been a huge starting point for me. I write because I like talking to the voices in my head. They are (usually) good company. I love to travel (when I have the $ for it). My family is everything to me. 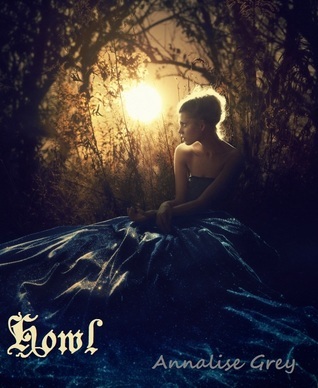 Nineteen year old Sophie Matthews is a line-walker between two worlds – human and werewolf. She lives around humans but is never truly part of their world. That is, until she is spotted by a hiker. What should have been a passing glance becomes so much more as Sophie falls for the one thing she is forbidden from ever having: a human mate. Adding to her stress is newcomer Daniel, the arrogant wolf on Sophie’s tail. Then several humans are killed by a mysterious and dangerous beast within the pack’s hunting grounds. The humans begin whispering of wolf-men roaming the forest and the threat of discovery looms heavy around the pack. Everything is falling apart and Sophie realizes just how little control she has over her future. Will she risk everything – her heart, her family, and her safety – for a chance to control her own fate?